OPEN BIM represents a modern approach to interdisciplinary collaboration for all construction industry operators. It refers to a universal approach to collaboration in the design, construction and management of buildings accordingly to standard and open procedures. The OPEN BIM community opens its doors to all software producers, architects, engineers, builders, and building owners, because the OPEN BIM logo is a success story for the most streamlined collaboration on BIM projects in every part of the world. OPEN BIM is an initiative of many software developers based on the openSMS Data Model, and the program is a marketing campaign initiated by GRAPHISOFT®, Tekla® and others to encourage and facilitate the coordinate comprehensive promotion of the OPEN BIM concept in the construction industry. Using defined communication, branding, and availability for all Companies participating in the program. OPEN BIM software promotes open and transparent workflow that allows professionals to collaborate independently of the software they use and defines a common language for widely shared procedures that enable industry and governments to get projects with transparent business goals, service comparability, and data quality assurance. The main goal of the OPEN BIM program is to produce durable projects that involve the entire lifecycle of the building, avoiding data replication and errors. The result is the BIM, Building Information Modeling that can be shortly defined as an integrated model for construction work (building, infrastructure, etc. ), which includes all data covering all aspects of its creation; in practice it is a completely new approach to the execution and management of construction work. Here architectural, structural and installation designs, features and properties of materials, components and systems, planning of execution stages, schedules and execution costs, as well as maintenance works are regarded as a whole, as parts of a single process where the entire product life is taken into consideration to reduce mistakes and optimize execution, checking and monitoring. 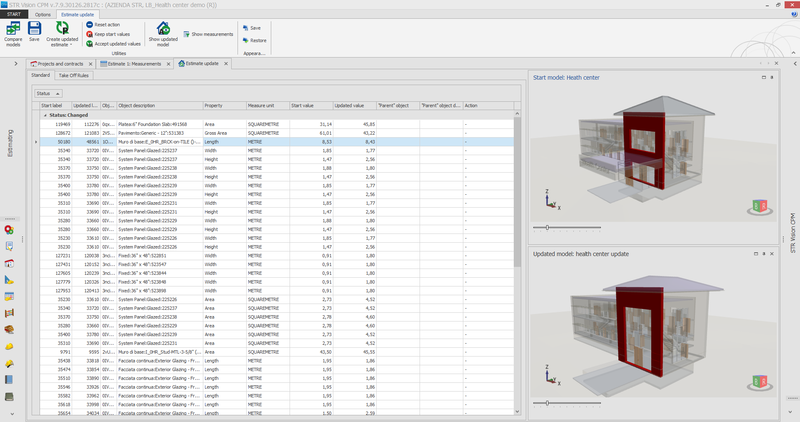 STR Vision CPM is a full BIM software: it integrates the 3D model project with information about tools, facilities, human resources and all the parts you need in order to complete the job. You can control and manage the technical and economic information, both forecast and consumptive data, during all the project phases.